This is how voters roll! - Activate! You are here: Home / This is how voters roll! The time has come! In May of 2019, millions of South Africans will make their way to the ballot boxes to cast their treasurable votes as they partake in the 2019 general elections. This past weekend, ACTIVATE! in partnership with the IEC and Civics Academy hosted training for over 25 Activators. The Train a Trainer Election Workshop took place at Alpha Conference Centre, in the North West. Practical and fun-filled, the training workshop was also educational and many myths around the electoral process were practically…AXE’d! Day 2, beginning of training. Participants were asked to share their expectations before the following session began and Activator Action Sekata from the Free State hoped to have this question answered “What does the IEC do beyond elections to educate young people on the electoral process and thereby attract more young voters?” IEC delegate Mr Moses Pitso addressed this and many other questions during his insightful presentation. He pointed out that the Independent Electoral Commission is a chapter 9 institution and its objective is to entrench electoral democracy in South Africa. Activator Tefo Mekgwe stated that this was the session that stood out the most for him as it gave him detailed knowledge on the electoral process. “It would be great if such sessions could be extended to more young people, particularly in townships, as they would become more interested to vote. 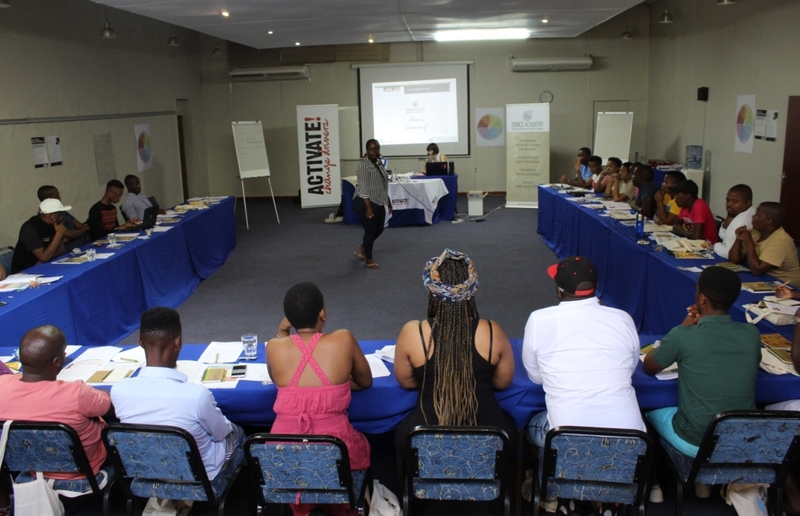 A dialogue session followed, facilitated by Tebogo Suping of ACTIVATE! on how to develop a community manifesto. Participants then completed an exercise where they had to question, analyse and compare different political parties’ ideologies and manifestos. As a home task, the participants are each expected to organize a civic education workshop in their community. For preparation, they were asked to split up into smaller groups and demonstrate in presentation form, their newly acquired knowledge on civic education and the electoral process. Civics Academy, ACTIVATE! and IEC provided learning material for the workshop and Civics academy delegate Mira Dutchke was happy to share with the class video content from her organization’s website which speak particularly on democracy and the electoral process. Equipped with all the information, content and skills, participants spent the last evening networking and looking forward to organizing and hosting their own civic education workshops. “Democracy is the only system that persists in asking the powers that be whether they are the powers that ought to be.” – Winston Churchill.